Traveling or temporary returning to Europe? 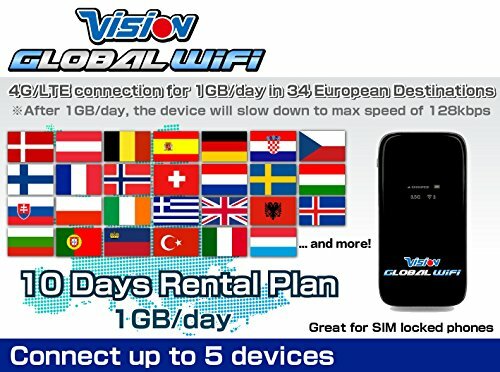 Stop overpaying for roaming fee and rent our pocket WiFi hotspot for an affordable and reliable internet connection. 1GB/day at True High-Speed DATA at 4G/LTE speed in Europe. Once the daily data usage is over, the device will be at slow speed with no extra charge until the next day (local time). Please check the "Product description" for supported countries in Europe.